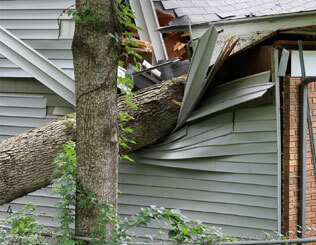 MGM Restoration is a full-service, licensed contractor specializing in emergency restoration. We help families and businesses recover from unplanned disasters such as fire, wind, water, flood, storm, snow and ice. As Michigan's preferred restoration company, we are on site within 30 minutes of your call and work quickly to secure your premises from further disaster. In addition to providing quality work, we act as your liaison to your insurance company to understand your coverage and get your claim processed efficiently and your property restored to its previous condition. Call MGM Restoration for home renovations and remodeling projects. In addition to covering all of your emergency restoration needs, MGM Restoration can handle all of your home renovation needs from building your dream home to finishing your basement. MGM is the only contractor you'll need. We specialize in home improvements like kitchen remodeling and additions, to new bathrooms and decks. Call today for a free evaluation of your next project.